High polished stainless steel blade detailed and etched according to governement specifications. 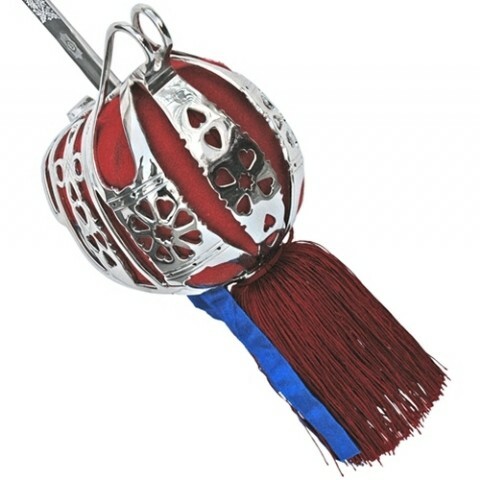 Onate nickle plated basket handle lined with red velvet cloth. 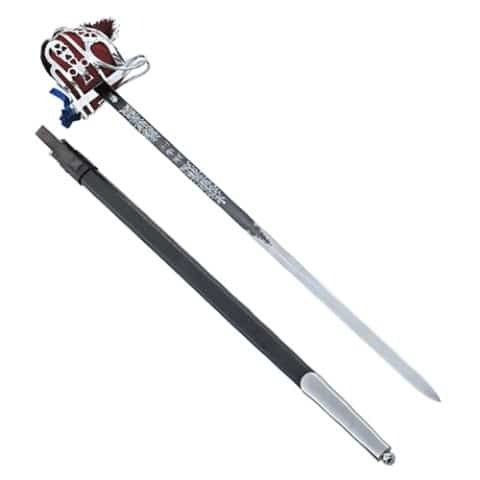 Comes with black leather scabbard. 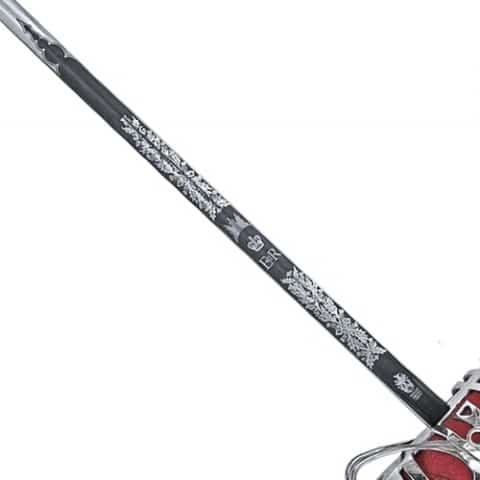 Optional nickel plated scabbard in place of black leather scabbard.